Twenty years ago today, the Sega Genesis was released in North America. Known as the Mega Drive in Japan, the Genesis was a big hit. The NES was dominant at the time, but that fabled console was a bit long in the tooth. With the help of truly superb marketing (Sega does what Nintendon't! ), and a certain blue hedgehog, the Genesis became Sega's most successful console. 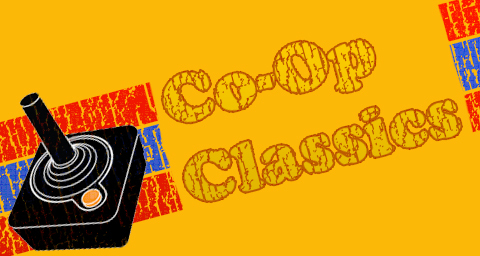 It was also a great way to play co-op with a friend, with many stellar co-op games in the Genesis library. "Wiiiiise fwum your gwaaabe!" With this hokey proclamation, the fun began. 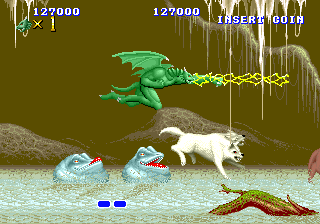 Altered Beast was the first pack-in game for the Genesis, before Sonic came along and changed everything. Collecting orbs buffed your puny human up like steroids, but the real treat was becoming a werecreature. Shapeshifting into a bear, dragon, or wolf is a nice game mechanic, made even better by trippy bosses and teaming up with a partner. Gunstar Heroes is to the Genesis what Contra is to the NES. 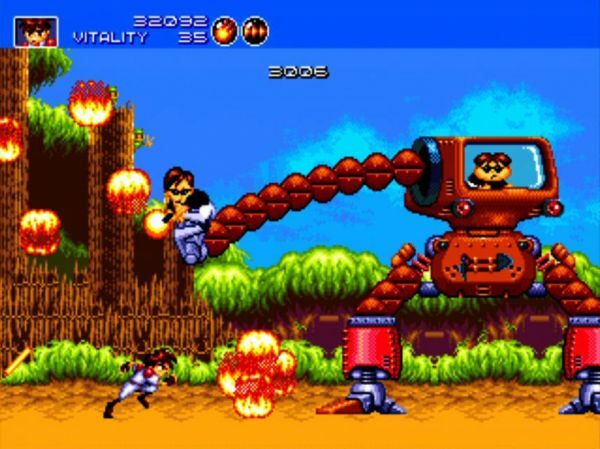 Extremely innovative, Gunstar Heroes combined "run and gun" elements with unique settings and more strategic choices, such as hybrid weapons, and fixed or free shots. Many hours were spent by avid Genesis co-op fans, devouring the game over and over again. Gunstar Heroes is considered by many to be the best 16 bit game on any system. One of the best co-op arcade games received an excellent port to the Genesis. Golden Axe retained everything cool from the arcades, and added in a couple bonus levels to boot. 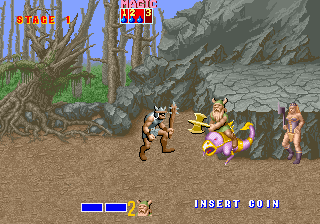 A Genesis-only sequel, Golden Axe II, was released as well. Replayability was high for this series, as the three characters were played quite differently from one another. Golden Axe is one of the best fantasy side scrollers you and a friend will ever enjoy. Page created in 1.5652 seconds.